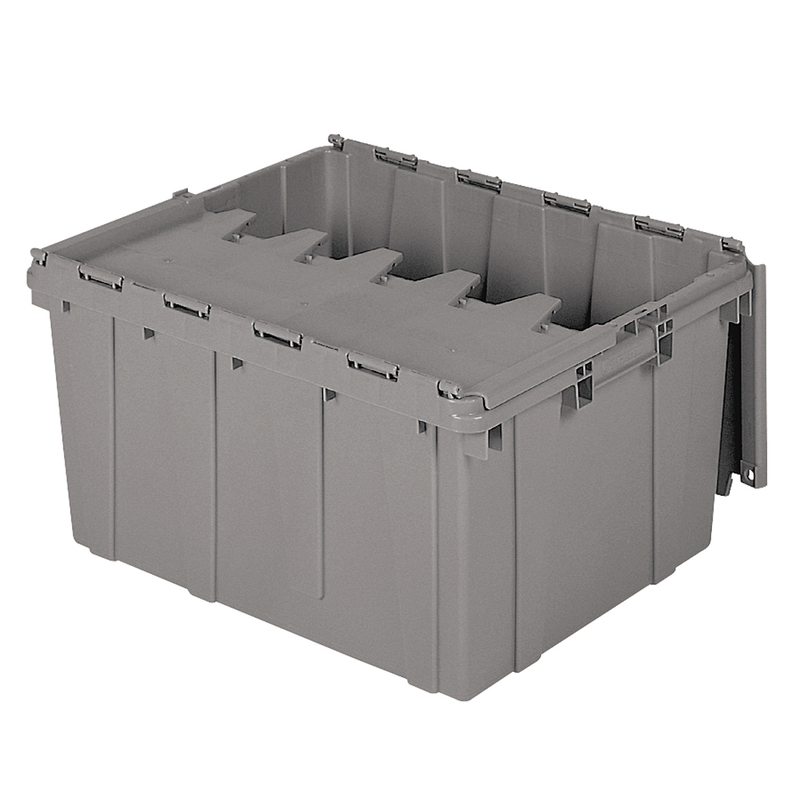 Attached Lid Container 8.5 gal, 21-1/2 x 15 x 9, Gray (39085). This item sold in carton quantities of 6. 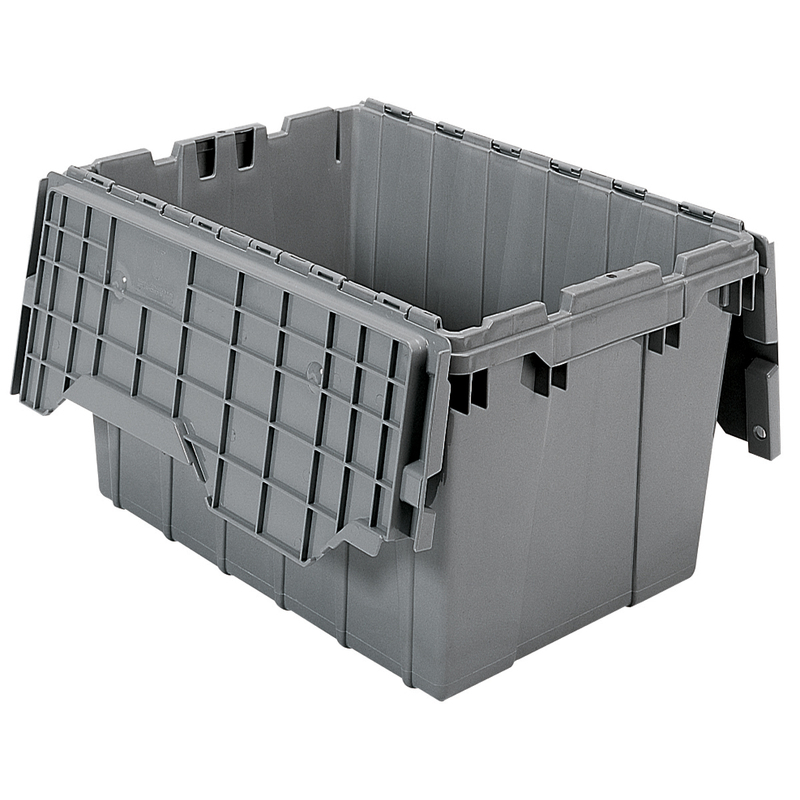 Attached Lid Container 12 gal, 21-1/2 x 15 x 12-1/2, Gray (39120). This item sold in carton quantities of 6. 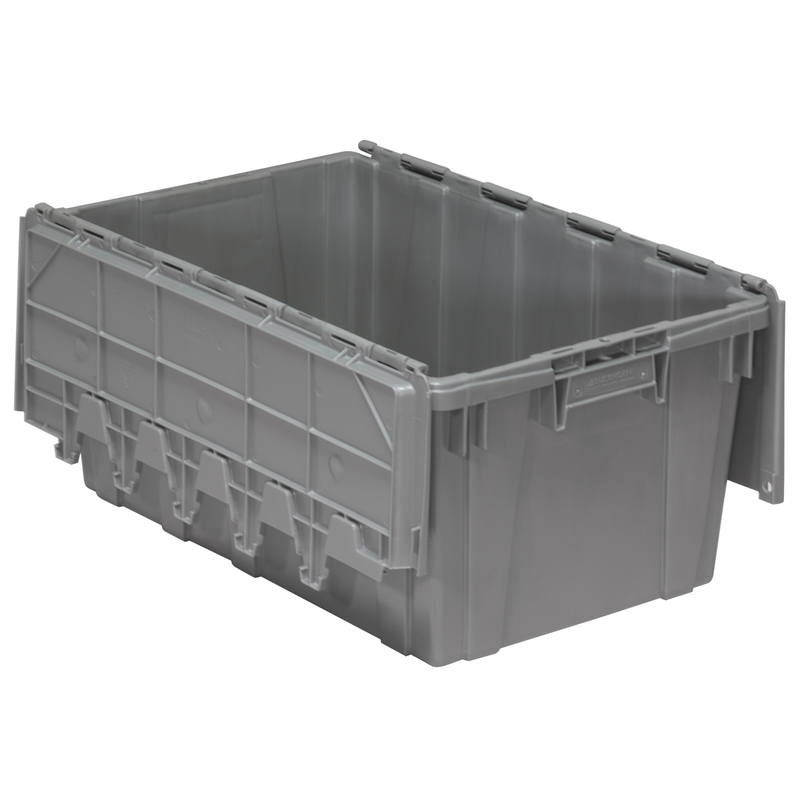 Attached Lid Container 17 gal, 27 x 17 x 12-1/2, Gray (39160). This item sold in carton quantities of 1. 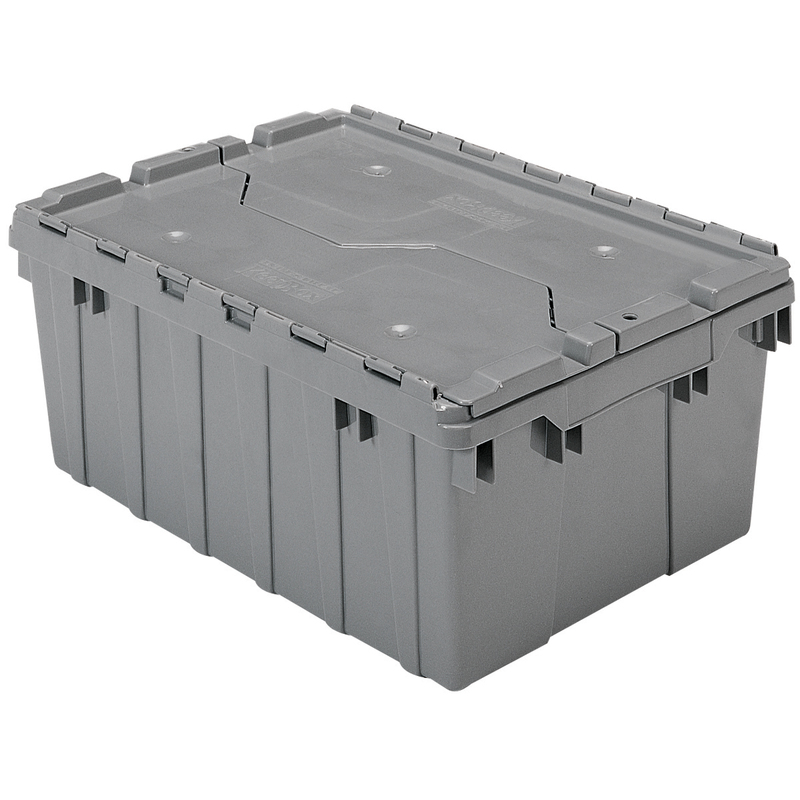 Attached Lid Container 17 gal, 21-1/2 x 15 x 17, Gray (39170). This item sold in carton quantities of 3. 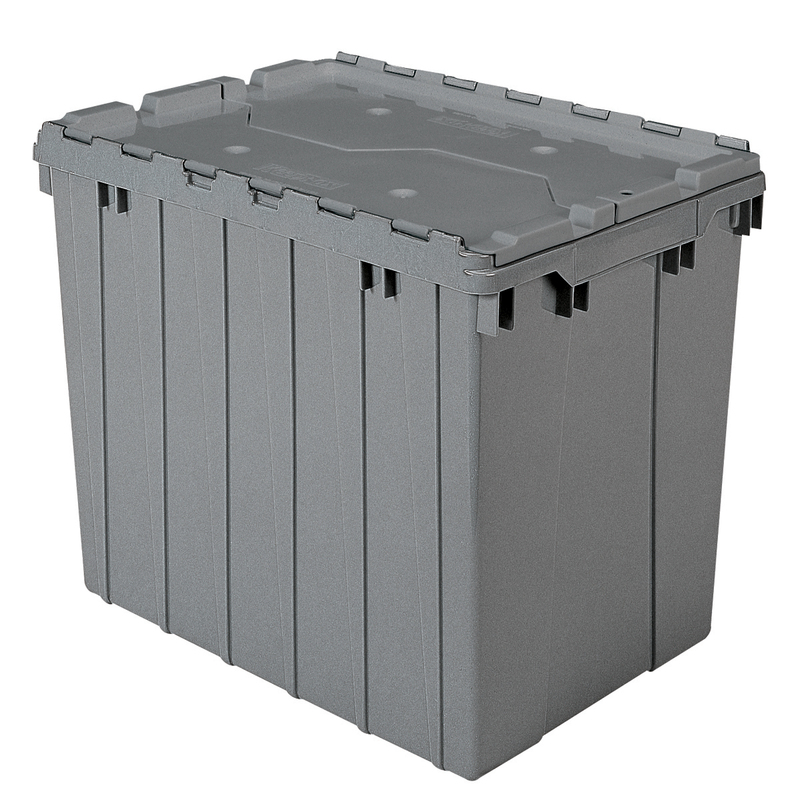 Attached Lid Container 17 gal, 24 x 19-1/2 x 12-1/2, Gray (39175). This item sold in carton quantities of 1. 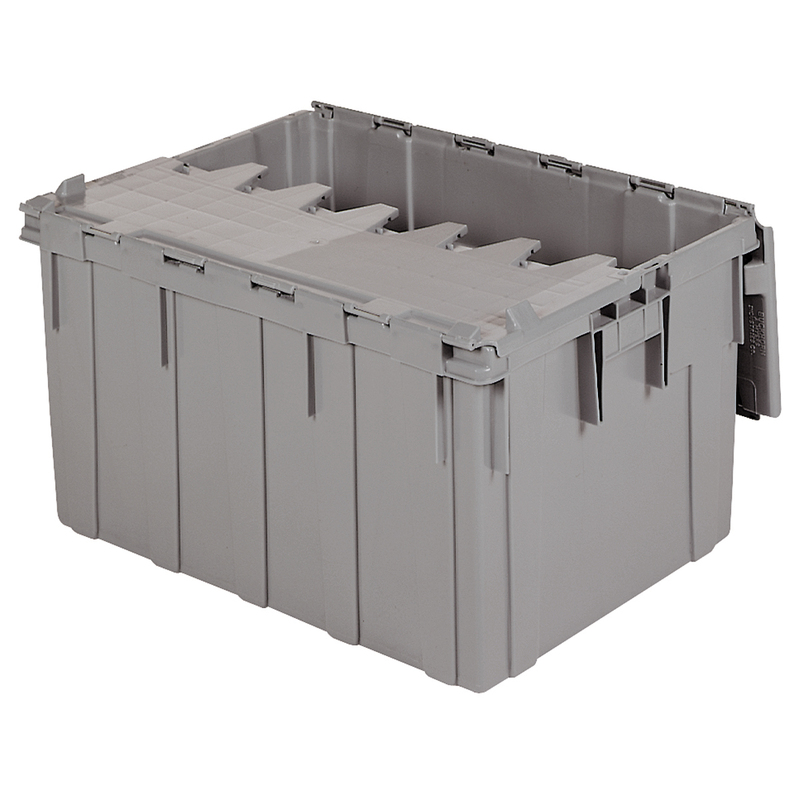 Attached Lid Container 28 gal, 28 x 21 x 15-1/2, Gray (39280). This item sold in carton quantities of 1. Attached Lid Container 8.5 gal, 21-1/2 x 15 x 9, Blue (39085BLUE). This item sold in carton quantities of 6. 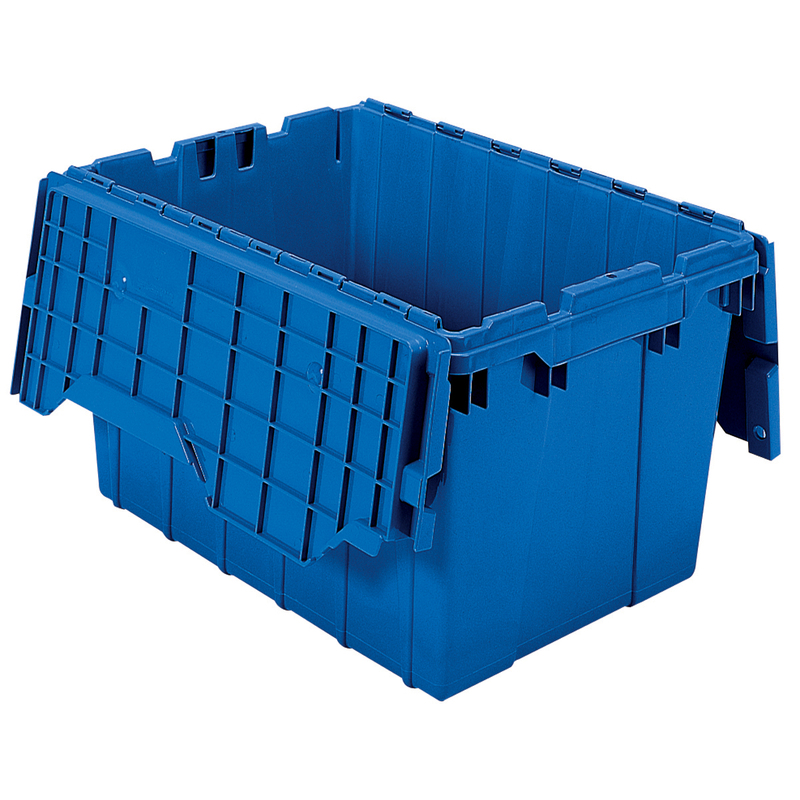 Attached Lid Container 12 gal, 21-1/2 x 15 x 12-1/2, Blue (39120BLUE). This item sold in carton quantities of 6. 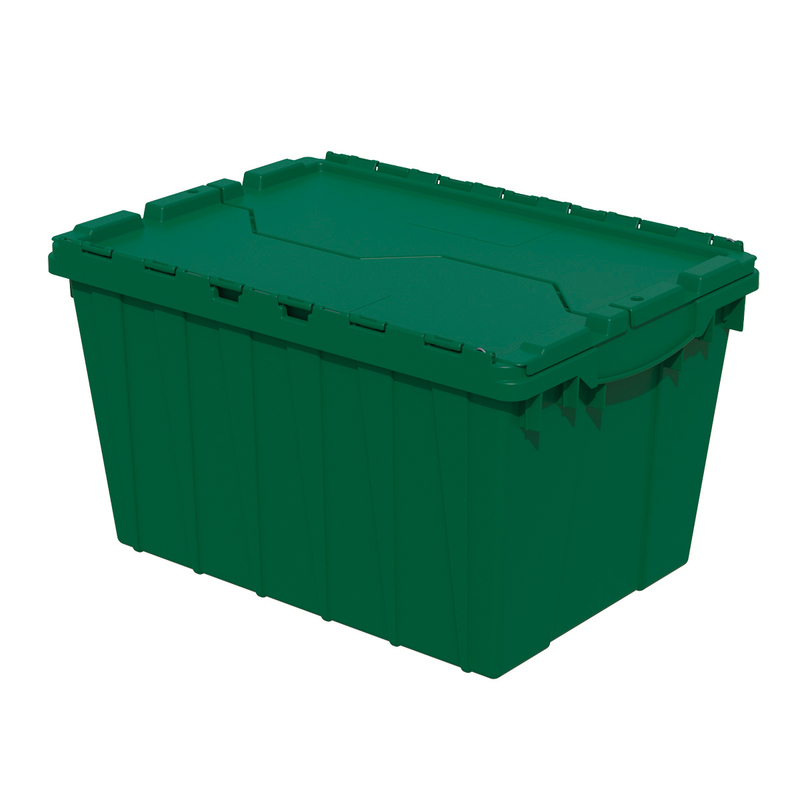 Attached Lid Container 12 gal, 21-1/2 x 15 x 12-1/2, Green (39120GRN). This item sold in carton quantities of 6. 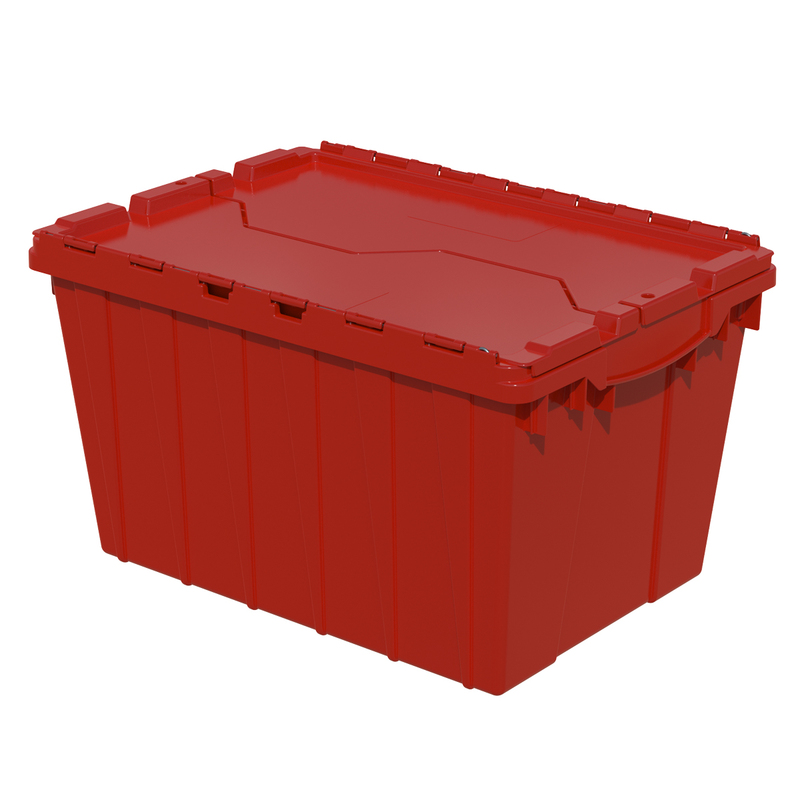 Attached Lid Container 12 gal, 21-1/2 x 15 x 12-1/2, Red (39120RED). This item sold in carton quantities of 6. 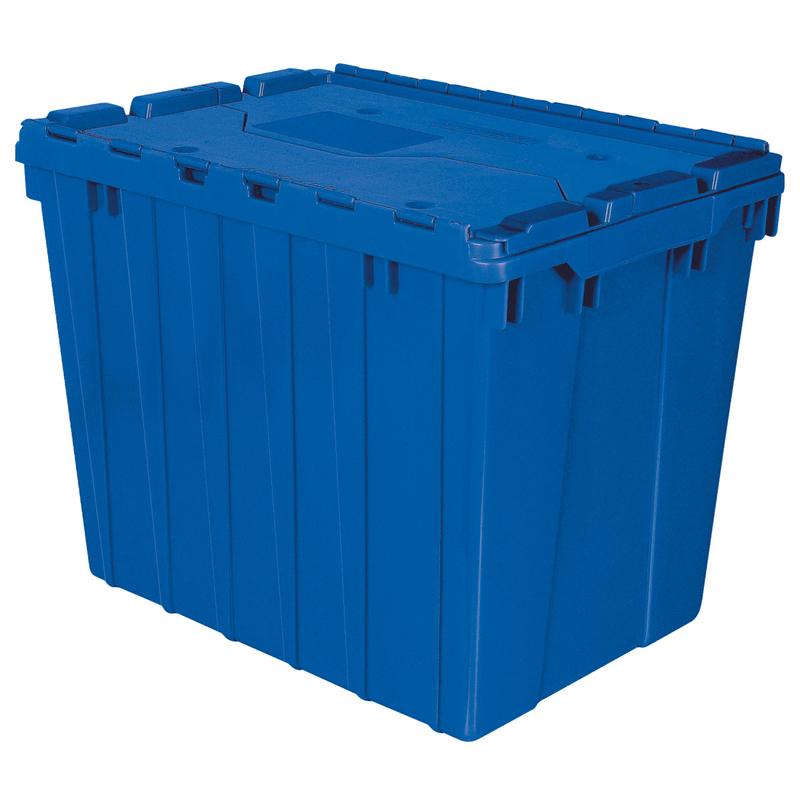 Attached Lid Container 17 gal, 21-1/2 x 15 x 17, Blue (39170BLUE). This item sold in carton quantities of 3. 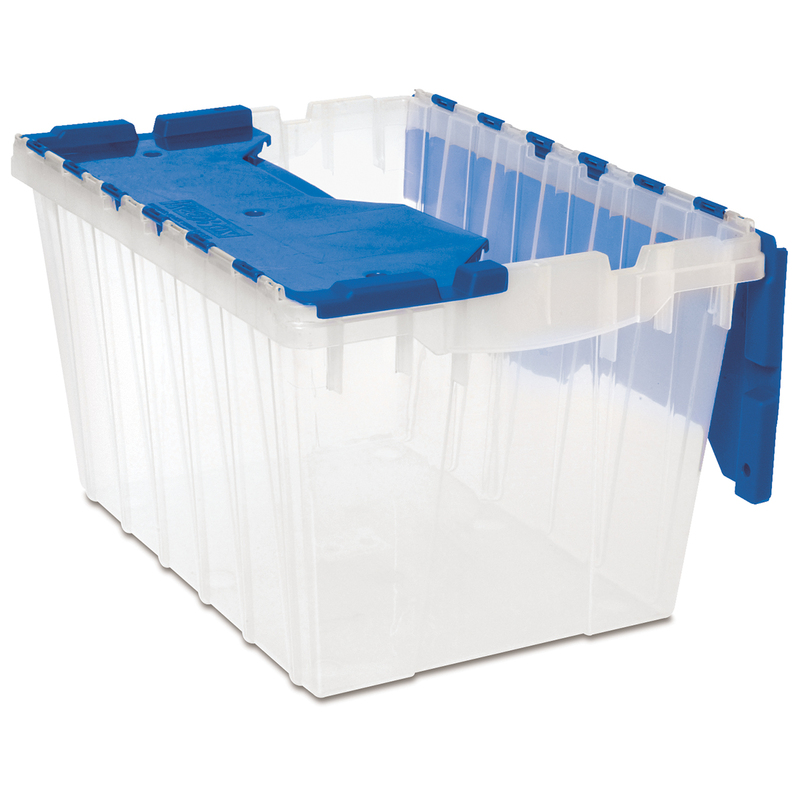 KeepBox 12 Gal, 21-1/2 x 15 x 12-1/2, Clear/Blue (66486CLDBL). This item sold in carton quantities of 6. 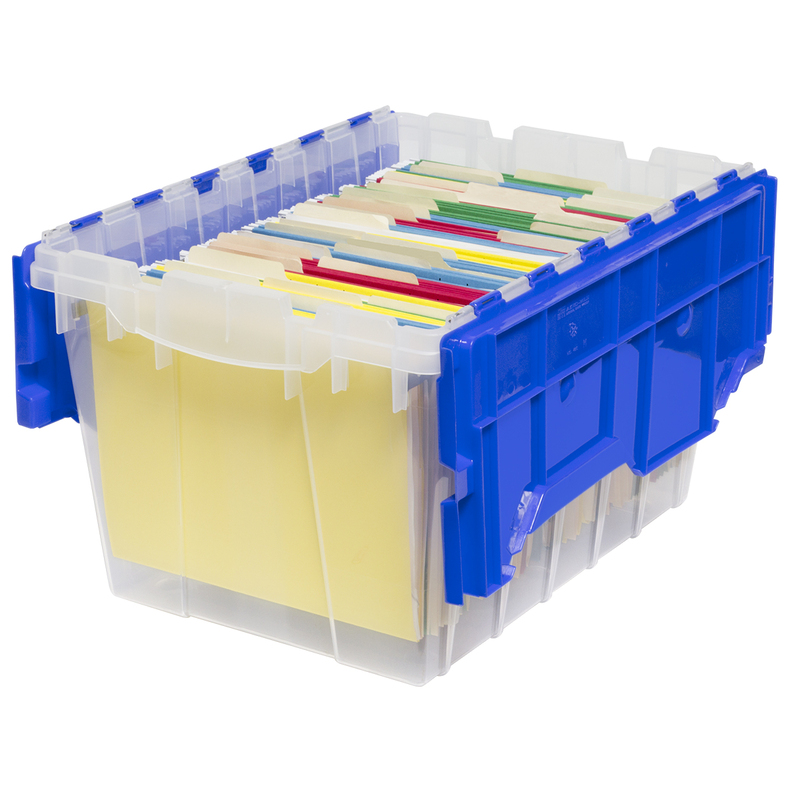 KeepBox 12 Gal, Hanging File Box, 21-1/2 x 15 x 12-1/2, Clear/Blue (66486FILEB). This item sold in carton quantities of 6.